The first week of the NHL season is in the books and so is our first set of the Pavel Bure’s for us to play game winning goal Hi Sticking with. For those new to the game, for every game everyone gets to pick 1 player for each team who we think we will win the game winning goal. If you pick the game winning goal scorer, you get 2 points. If the guy you picked assists on the winner, you get 1 point. 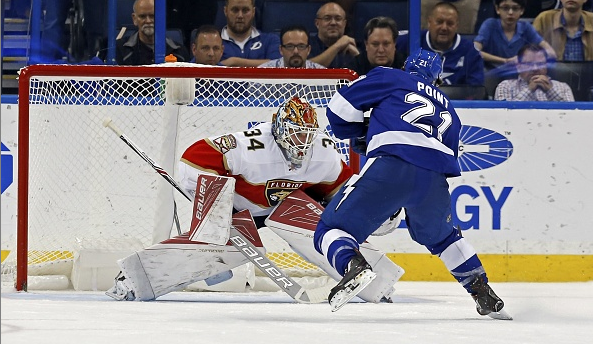 Last week we had the Florida Panthers vs Tampa Bay Lightning, Toronto Maple Leafs vs Winnipeg Jets, San Jose Sharks vs Pittsburgh Penguins, St. Louis Blues vs Calgary Flames and Winnipeg Jets vs Edmonton Oilers. So, who is winning so far?